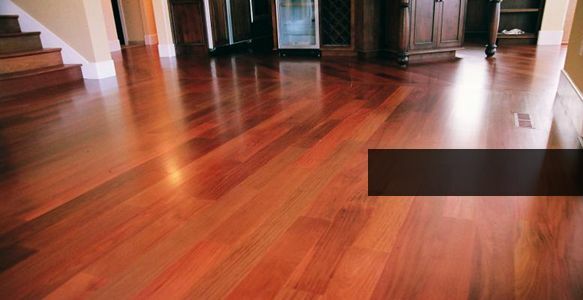 As the name implies this Australian eucalypt displays many of the characteristics of European and Brazilian Mahogany, but is far harder and, depending on its location and uses, can mature to a darker and more mellow finish. We have limited quantities suitable for traditional four panel-doors, door and window frames, sills and reveals, wide section flooring, skirting boards, architraves and stair treads. A suitable project, for this rarely available species, might be the exciting introduction of all architectural joinery (and possibly some furniture), in red mahogany from our inventory. The heartwood is dark red, with a distinctly paler sapwood. The texture is medium and even, with the grain slightly interlocked. Pin holes can be a distinctive feature. 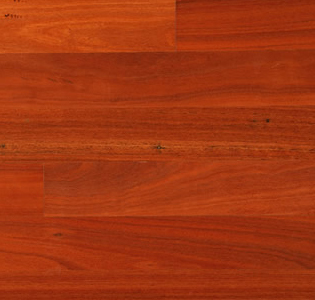 The heartwood is durable (Class 2) and the sapwood is susceptible to Lyctid attack. Whilst it is a much sought after species for its colour and grain, it is not available in large quantities. The timber's working characteristics are good and applications include framing, decking, flooring, panelling and general construction. Shrinkage is about 4% radial, 6% tangential.